Indeed, it is. 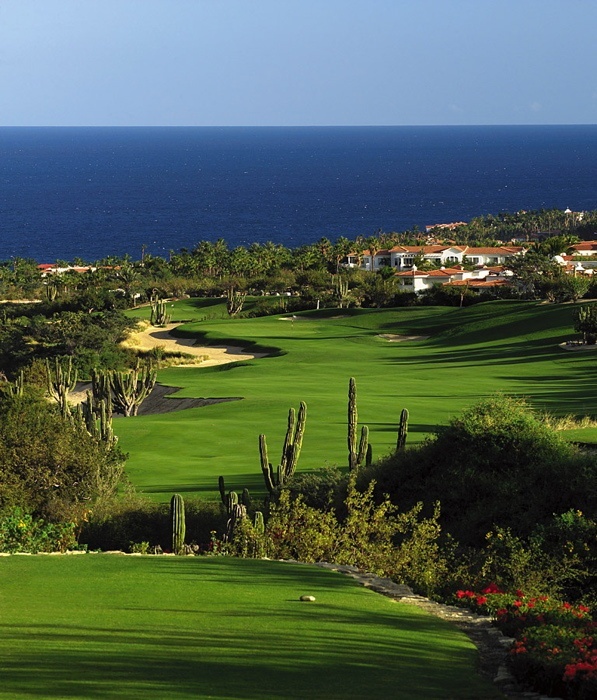 With fifteen championship courses and several more under construction, Golf Digest ranks the links at Diamante, Cabo del Sol and Querencia in the top 100 courses in the world. Golf enthusiasts may choose from courses designed by living legends Jack Nicklaus, Tom Fazio, Greg Norman and Tiger Woods, all within a 28-mile radius! The unique environment surrounding Los Cabos creates the magic elixir for the course design and layout. The surreal mountains-meet-desert-meets-ocean setting create the perfect contrast among manicured greens and meandering fairways against the craggy terrain. Imagine hitting the perfect tee shot over a rugged desert canyon as a salty breeze delivers a refreshing mist from waves crashing on the rocky shore below. Snack on fresh-grilled fish tacos and sip top-shelf tequilas at comfort stations in between holes. And don’t get distracted by the whales breaching offshore when it’s your turn to putt. 2Seas Los Cabos, the exclusive Baja California affiliate of Christie’s International Real Estate, offers a variety of luxurious homes within these incredible golf course communities.